​ Humanity stands at a moment in time which will mark either the extinction of hope for our species or open a new age of prosperity, expansion and cooperation. Our past carried humanity into an accelerating pattern of centralization, designed to extract the innovations and human productivity of the many into the unearned wealth of an ‘elite’ promising redistribution of wealth, delivering only scarcity. The agonizing stories of good people come to us from the records of archeology. Our species survived the glorification of war as a tool for wealth. Seeing productive people, men and women, as the property of those who command armies and claimed the Right of Kings, prerogatives of presidents, CEOs and their supporters, who bought for them elected politicians. As we look up to the stars, the time has come for the violent greed of the past to be extinguished. With the move of humanity into Space the time has come to end all slavery, chattel, where women and children are sold as merchandise, and the subtler slavery of people sucked dry by the governments they have trusted to carry out what was perceived as essential duties, intended for their benefit. Space Resources are the future of Humankind. What kind of future will this be? That is for us to decide ourselves, for ourselves. As you will see, the Earth-Path Defense Fund invites each individual to have access to the opportunity of Space and participate in the battle to protect the Earth and guarantee our survival. This cannot be delegated to representatives, each person can assume responsibility and be rewarded for it by popular convention through property title companies. Those of us who make this stand are choosing to accept this Common, yet Individual Heritage of Humankind on a frontier. This stands in stark contrast to the vision of an elite and dictators’ who see themselves as holding control over our species, the Common Heritage of ‘Mankind,’ a phrase heard mostly in the halls of the United Governments of Nations, commonly called the ‘U.N.’ during International conferences on the law of the sea, where they seek to claim all the oceans, and during five elitist voting in an empty assembly hall against property rights in Space. Now is the time for the billions of individuals on Earth to exerted their right to their own future by joining the Earth-Path Defense Fund and working with the Space Property-Title & Asteroid Resources Consortium (StarCo) for Asteroid Detection, Deflection, and Development (ADDD) projects. As individuals, we accept responsibility to protect the Earth and her people. As individuals, we are rewarded, and guaranteed a share of the 149 moons and planets to each person, to use as they will, reserving some for future generations and common areas, such as transit corridors. Asteroid property title, because of dealing with a clear and present danger, requires more earned property-rights by tasks to ensure discoveries, deflections, and development. At present, scientists on government welfare, have only achieved 1/20,000th of a sky survey, .00085% of asteroid discoveries. The International Astronomical Union of such tax-paid scientists prevented even the right to name or sell the naming of an asteroid to raise funds to track asteroids via computers for the next 500 years. Today we face two risks: The loss of freedom, and the loss of our existence. 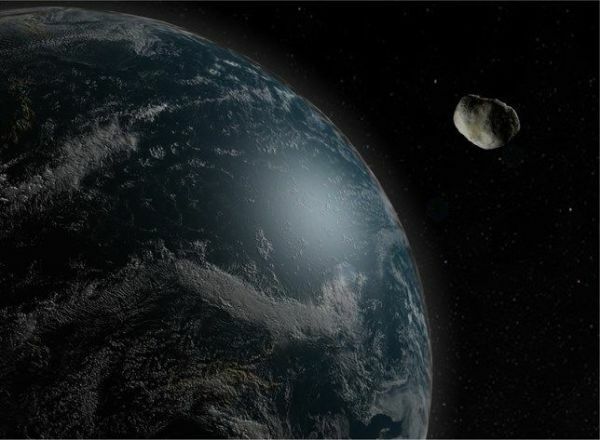 The Proclamation of Asteroid Day by the U.N. and governments is among several initiatives by those who advocate centralized power and ownership by an elite, with no acceptance of accountability for damage done to us, our property, or pollution. This, they have demonstrated for generations. The Moon and Celestial Bodies Treaty that prohibits governments from making claims, is silent on property rights except to say a government is responsible for their citizens' action in Space. It also, logically, prevents governments and state-owned banks from using space resources to back their failed monetary systems and unbridled redistribution to their own cadre of supporters. Earth-Path Defense Fund believes a framework of individual responsibility comes with property title with such as title insurance and arbitration for settlers, miners, spacelanes and other entrepreneurial externality factors. Where settlers cluster by culture should not create a blockade, restraint of trade, or transit route on any moon, asteroid, planet or spaceway. There is room in the Space and Celestial Bodies Treaty for property rights to be arbitrated by free-market action without government certificates of public need, another form of control, tyranny and confiscation in the name of goals not met by government, but by the free-market. This includes drawing property boundaries for 10 billion people and competitively keeping track and settling disputes among early settlers by reallocating other comparable properties for late arrivals. We cannot afford to take past mistakes into Space. What we saw take place with governments and their elites will happen again, if a clear framework for freedom and personal equity is not followed. Governments have proven themselves incapable of taking the necessary steps to carry out its most asserted elemental responsibility, defense. Ignoring their asserted responsibilities, they now attempt to seize hard assets to enrich themselves again. The Earth-Path Defense Fund believes a Space Resources-backed set of competitive currencies will bring prosperity to this generation and those that follow. Governments are not sovereign, Only living individuals possess sovereignty. Therefore, it is time we, the billions, assume our proper rights, taking responsibility for humanity’s launch into Space, detecting and deflecting threats, averting human-made disasters by accepting universal accountability to the rights of others, and by so doing, by our actions, chose for our own freedom and our survival. Sign up to advance freedom, equity and prosperity for all! Detecting Member - What you can afford. Contact us for time committments and student research memberships. Talk to us. What do you want to do for freedom in Space? Or buy a telescope and start your sentry duty and be ready to own a piece of a newly discovered rock often worth trillions of dollars. Sign up. We will provide point you to what you need. No money? Still in school? There are lots of ways to help. Sign up.